AA Skincare Essentials provide a wide range of skincare products to suit all skin types with different skin problems. 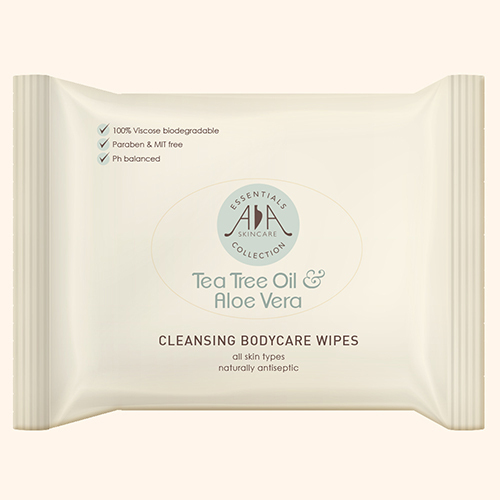 The tea tree oil and aloe vera cleansing bodycare wipes are suitable for all skin types and are a great addition to be on hand when u need them! 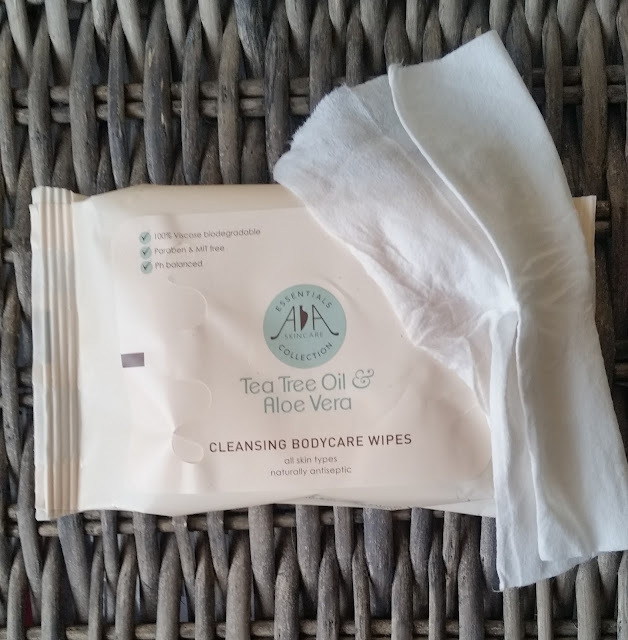 On holiday or a regular at a festival or even when your just on the go, these bodycare wipes instantly can refresh you, ready for your next task of the day or night. The natural antiseptic tea tree oil not only cleanses but also efficiently removes bacteria whilst the aloe vera will leave your skin cool and calm, making these wipes a must have! For an instant refresh, simply wipe over hands or body, using both sides of wipe. 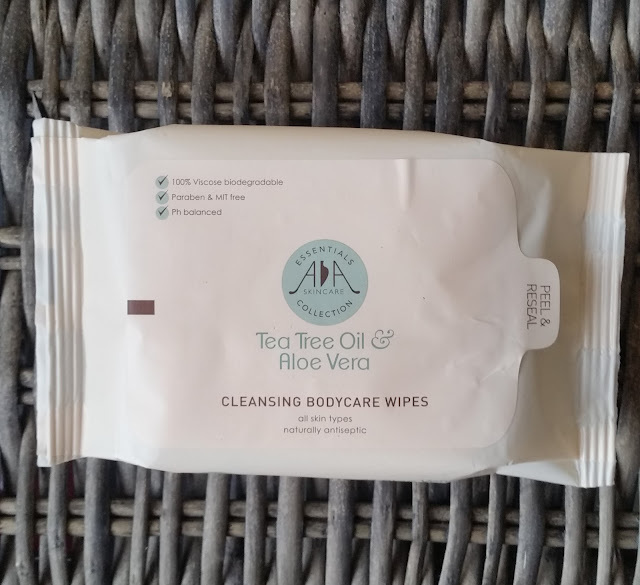 On first opening, your senses are uplifted by the smell of the inviting tea tree oil and what i really like is the wipes are quite moist even after using once. Your skin is left really cleansed without over dryness and the cooling effect is really welcoming, especially on a hot day! In the travel friendly wipe pack you receive 25 wipes and could easily be placed in your bag or kept in your car for a quick refresh throughout the day. Interested in the AA Skincare Essentials range then head on over to their website click here and show your skin some love! X Neil.